Ross Cobb probably knows as much as anyone about growing grapes and making wine on the far western Sonoma Coast. His exposure to the winegrowing potential of the region began when he was a child, when his father, marine biologist and ecologist David Cobb, wrote a paper while at the University of California at Berkeley about the opportunities for growing world-class Pinot Noir on the West Sonoma Coast. In 1989, David moved beyond theory when he, his spouse Diane, and Ross planted 5 acres of the family’s Coastlands Vineyard together. Coastlands was not the first Pinot Noir vineyard on the far Sonoma Coast, but it featured more than a few acres of vines and also included a Pinot Noir nursery spearheaded by Diane in conjunction with University of California at Davis that was designed to isolate the most suitable clones for the extreme coastal climate. Ross attended University of California at Santa Cruz where he studied agroecology and sustainable agriculture, and began to take an interest in wine. He worked a few days at Williams-Selyem during harvest and then spent time at Ferrari-Carano and Boony Doon. Burt Williams called him because he needed a lab technician and Ross soon apprenticed under him and winemaker Bob Cabral. In 2000, he traveled to Burgundy and returned to eventually become the winemaker at Flowers Winery and subsequently Hirsch Vineyards. His roles at these wineries and his experience with his own Cobb Wines label established with his family in 2001, means he has worked with almost every vineyard of note on the West Sonoma Coast. The following 2014 Sonoma Coast Pinot Noirs represent the Cobb Wines October 2016 Fall Release. 2014 presented a long growing season on the Sonoma Coast, with modest yields of about 1.8 tons per acre, and ideal late-season weather allowing harvest with forethought and precision. Ross believes the 2014 vintage will be the most outstanding since 2007. 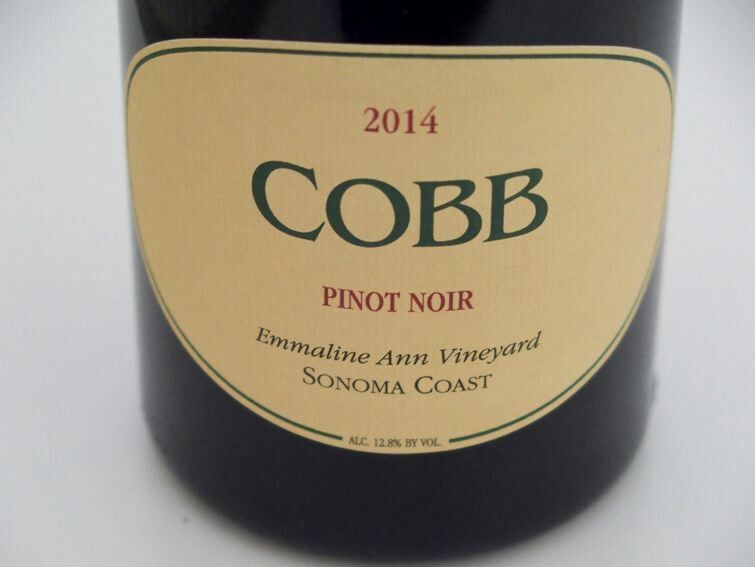 The Cobb Pinot Noirs are typical vinified with significant whole cluster inclusion and native yeasts. The grapes are picked early leading to relatively low alcohols. The wines are bottled unfiltered. The winery’s calling card has been perfume, elegance and harmony from specially chosen vineyards in the West Sonoma Coast. These limited production wines are allocated exclusively to the winery’s mailing list at www.cobbwines.com.